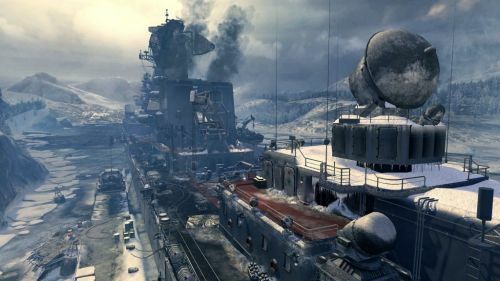 Xbox 360 CoD Elite users will be getting a content drop today for Call of Duty: Modern Warfare 3, with three new faceoff maps (Vortex, U-Turn, and Intersection) becoming available. But the better news in the content drop is the availability of a new co-op mission called Artic Recon, which is pictured in the above screen. Requiring surgical precision by air, land, and sea, this new Special Ops mission tasks you with destroying a Russian battleship by planting beacons for an air strike. Take control of a recon helicopter to reveal the beacon locations before fighting off forces on the ground to ensure the ship never leaves port. A title update for the game has gone live with several balance tweaks and fixes. While the content and title update right now are 360 only, PlayStation 3 and PC users will be getting it in the coming weeks. Page created in 0.2427 seconds.